Reprint. Originally published: London: Michael Joseph, 1956. 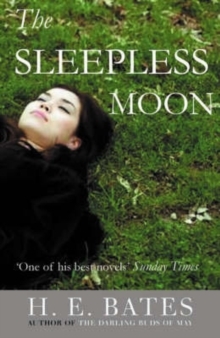 "The Sleepless Moon" opens with the marriage of Constance and Melford Turner, with Constance's dreamlike walk across the square of Orlingford: when the warm summer wind ripples her white silk dress against her skin, she feels 'astonishingly free and exalted'. Although she is shy and quiet, Constance is also sensual and sexual, but we discover on her wedding night that she is doomed to a passionless marriage, and the arrival of a young pianist, Frankie Johnson, drives their marriage even further apart. "The Sleepless Moon" is about the bleak and unforgiving nature of insomnia, of restlessness, repressed passion and dislocation. Orlingford is a town where it is hard to differentiate between pleasure and pain: the wonder of a moment is ignored, misconstrued or overridden by the fear of it passing. Pleasure is never more than fleeting and the characters are speechless in their supplication for help and understanding; repressed emotions manifest themselves in peculiar character traits and habit, and dreams are more vivid and warm than life.